The Quant Edge is a predictive analytics internet company that provides a winning edge for sports bettors and fantasy sports players. Our web-based platform utilizes the industry’s most powerful algorithms to provide the in-depth analysis and content that consumers, media outlets, and beyond have been missing. That includes partnerships with sportsbooks to provide direct access to betting opportunities. Legal sports betting, thanks also to deregulation in the US in DE, MS, NV, NM, NJ, PA, OR, RI and WV. 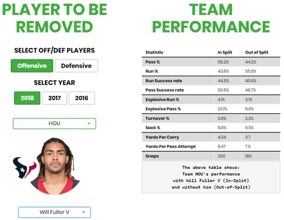 With fantasy & sports betting becoming more popular, there’s also a growing consumer demand for in-depth data that allows for smarter wagering decisions. Media entities and even the sports arenas themselves are scrambling to provide this content to consumers. However, no single source has been established as the go-to in the market as of yet. 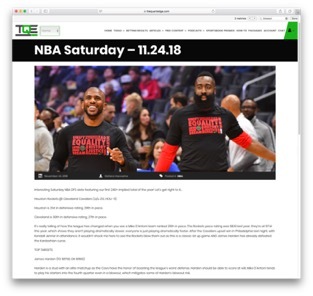 This leaves a huge opportunity to put exclusive analytic tools in the hands of the growing demographic of action-hungry sports fans - and to take control of a very lucrative market. 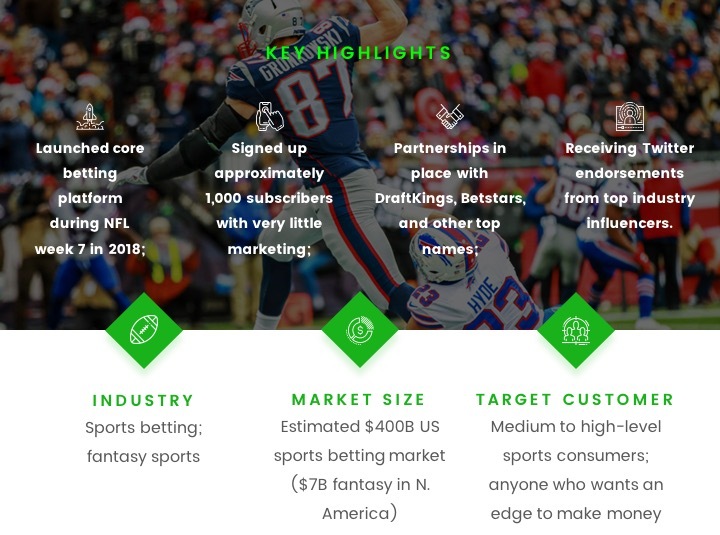 a web-based ecosystem of applications & content - backed by world-class mathematics - that helps sports fans make more intelligent betting and fantasy contest decisions. 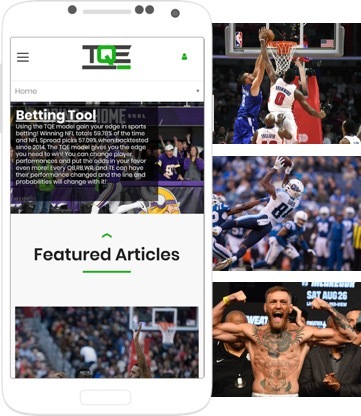 The TQE site combines a clean, modern, interactive user experience with the industry’s most advanced algorithms and unique multi-sport tools. 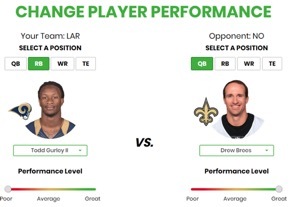 The result is optimal performance in real time - whether placing a football bet or playing a little daily fantasy (DFS) basketball. Plus, through the strength of our partner network, we’re also building a portal to access some of the world’s top betting sites. For instance, players will be able to utilize TQE to bet through to the sportsbooks depending upon how games are delivered in the media - whether it’s iOS, Roku, Amazon, Apple TV, or another. 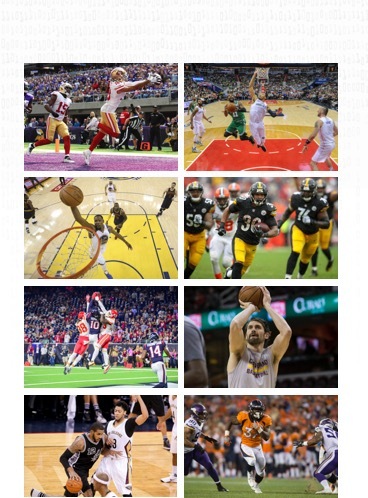 Deep industry-leading insight is therefore just the beginning; our end goal is to become the bridge between sports consumers, media entities, & sportsbooks. 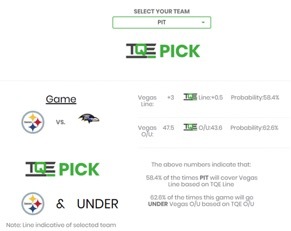 We’re off to a great start too - beating Vegas lines at a 57% clip for the NFL season. 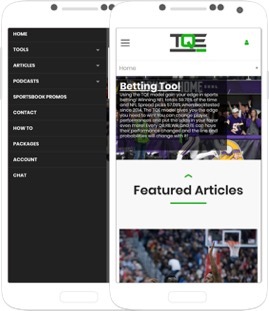 TQE is a multi-layered platform offering several base packages centered on betting and DFS for football & basketball. Across the board, we utilize common, advanced data science metrics kept separate from sports intuition for the purest quantitative results. 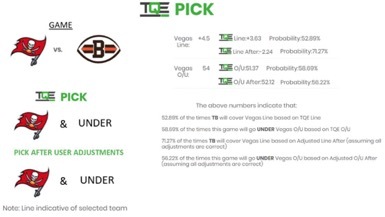 TQE also plays host to more traditional (yet very useful) content like articles, featured podcasts, and betting results. It’s all presented in a way that’s far less crowded than competing sites yet still well-suited for the biggest aficionados. Our key affiliate relationships, like ones we have with NJ sportsbooks, are what allow us to provide true end-to-end service. We work together with them to provide customers a complete solution while opening up a valuable profit sharing revenue stream. during a 4th quarter NBA blowout, the insight we deliver will allow users to capitalize on a live line that wasn’t made with much analysis - giving the bettor a huge advantage. The back end of our platform leverages top cloud-based technologies like Amazon Web Services, R, and Shiny. For more information on The Quant Edge and what they have planned for the future, please request access to the Business Plan portion of this Fundable profile! Founder Todd Gross first envisioned the TQE concept during his days as a commodities trader & hedge fund manager. In the midst of selling his predictive software to banks and hedge funds, he began noticing a growing demand for quantitative analytics in sports. Leveraging experience gained as Founder of SmartEnergy & Hudson Capital Group - the latter of which won a BarclayHedge Award - Todd acted quickly to lay TQE’s foundation. A Univ. of Pennsylvania, M&T Program graduate, Todd also spent time with Cooper, Neff & Associates and Morgan Stanley, where he headed global options trading. Todd is also joined by Steve Schiffman, the President of TQE. Most recently, Steve was the CEO of Cooper Media and brings over 30 years of leadership building global brands and businesses for diverse world-class franchises such as the Washington Post, National Geographic Channels, The Weather Channel, NASCAR and Kraft Foods. Steve is a board director for the Lenox Corporation, a leading manufacturer of tabletop products, K-Motion, the leader in motion technology to optimize movement and formerly, Smashburger before its sale to Jollibee Corporation. Steve earned his M.B.A. at the J.L. Kellogg Graduate School of Management at Northwestern University in Evanston, IL and a BBA from the University of Massachusetts – Amherst. He currently resides in Chevy Chase, Maryland and is married with two girls.